As a result, Greer was lambasted as insensitive, cruel and GASP, “unaustralian” for daring to write such a critique. Some called for her to be banned from entering the country again. The National Portrait Gallery replaced a picture of Greer with – you guessed it – Steve Irwin. In such situations, the assumption is that we should never speak ill of the dead, even if those who have died have been major public figures and divisive ones at that. Former British Prime Minister Baroness Margaret Thatcher was indeed one such public figure, who at the helm of the United Kingdom during the 1980s presided over policies which had huge impacts on the people she governed. Her passing last week led to a barrage of global tributes from political leaders of various persuasions. In response, Australian Prime Minister Julia Gillard said that “as a woman, I am admiring of her achievements on becoming the first woman to lead the United Kingdom”. Locally, conservative columnists took the opportunity to elevate the memory of Britain’s first and only female PM as a chance to sink the boot into Australia’s first and current female Prime Minister. 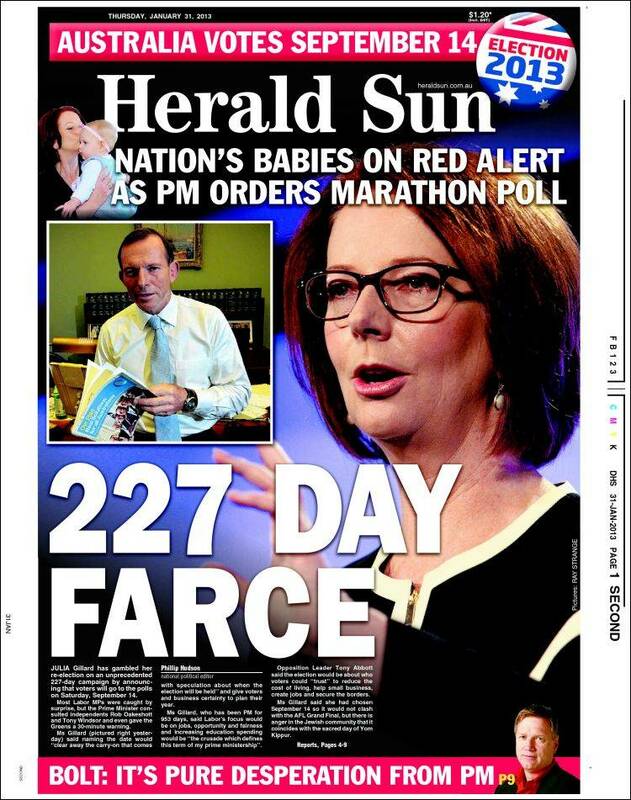 Under the headline ‘JULIA’S NO MAGGIE’, News Limited columnist Andrew Bolt lambasted Gillard’s response to the news as “pathetic and graceless”, as “Thatcher never sold herself as a victim or just a representative of her gender”. Bolt used his column to have another spray at Emily’s List, a terrible organisation in the eyes of the Bolt’s of this world, which, god forbid, aims to support progressive women in political positions within the Australian Labor Party.